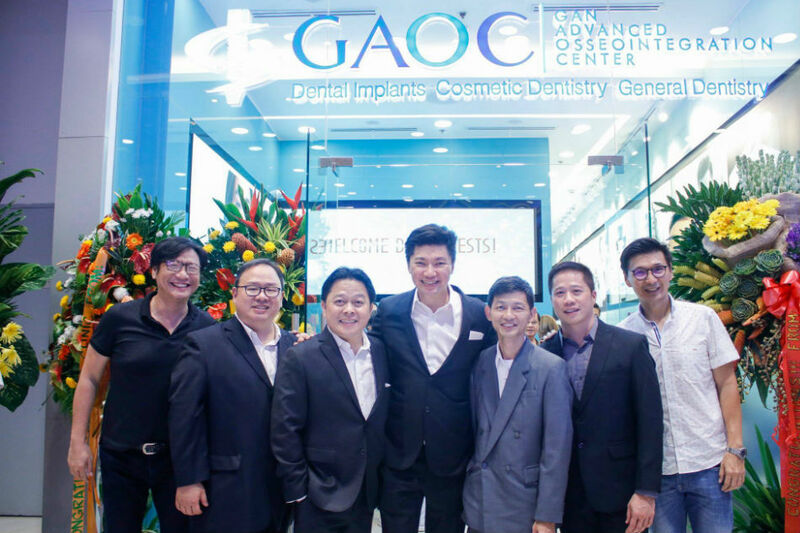 Gan Advanced Osseointegration Center (GAOC), one of the premier dental centers in Southeast Asia, has opened its ninth clinic in the country. The September 22 grand opening at the at the Mega Fashion Hall in SM Megamall in Mandaluyong was graced by celebrities including Miss World World Megan Young, Cristine Reyes, Sue Ramirez, and Shaina Magdayao. "For any concern, you can entrust GAOC," shares Dr. Steve Mark Gan, CEO and President of GAOC. He also assured that GAOC uses state-of-the-art equipment and instruments, making it able to address a wide range of concerns, including advanced cases of oral maxillofacial maladies, and dental implant surgery. "We offer the complete range of treatment systems - from the simple to the most complex procedures. We assure you – with our experienced dentists and medical personnel – you can achieve your brightest smile," he said. Since 1998, GAOC has also positioned itself as one of the trusted providers and pioneers in 'dental tourism,' in Southeast Asia. GAOC specializes in prosthodontics, and cosmetic procedures such as crowns, bridges, dentures, and veneers. Considered the first 'luxury' dental clinic, GAOC is able to offer high-end dental care at a fraction of the cost most modern clinics in the US and Europe charge. The newly unveiled GAOC Megamall clinic features a Consultation Room, an X-Ray Room, Sterilization Room, 4 Treatment Rooms, and a Dental Laboratory to help speed up the processing of results. Patients can also seek advanced digital dentistry at the clinic. "GAOC prides itself in delivering excellent, quality service. And as we head to 2019, we want to offer our clients more locations to get in touch with us. Your dental health is our priority," said Dr. Gan. GAOC SM Megamall branch is located at Level 5 Mega Fashion Hall, Mandaluyong City. For inquiries and appointment schedules, call (+63) 02 725 4262 and (+63) 917 158 4262, or email megamall@gaocdental.com.